We retail and wholesale hydroponic gardening equipment. We provide consulting services to Licensed Producers for both legal medicaL cannabis and vegetable production. Our only shop delivers the best in interior gardening supplies Canada wide. We specilize in hydroponics systems, ventilation, grow tents, water purification, processing systems and plant nutrition. Home growers to commercial gardens we serve them all. With the best products and competitive pricing we proudly offer excellent customer service, thorough knowledge of hydroponics and accessibility to all the major brands of hydroponic products. Our consulting service will help guide you through the necessary steps for a successful hydroponic garden. 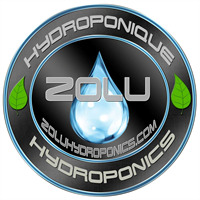 No job too big or too small for ZoLu Hydroponics. 22 Years experience and growing!